Several newcomers were welcomed to the Aya thread like Xiahou Yuan, Kittiwindx or REtiRO who confessed: Her voice is just lovely! When she performed the song "happiness" believe it or not... Tears came out of my eyes... Its just beautifully sang! Lots of her song brings me to tears actually. 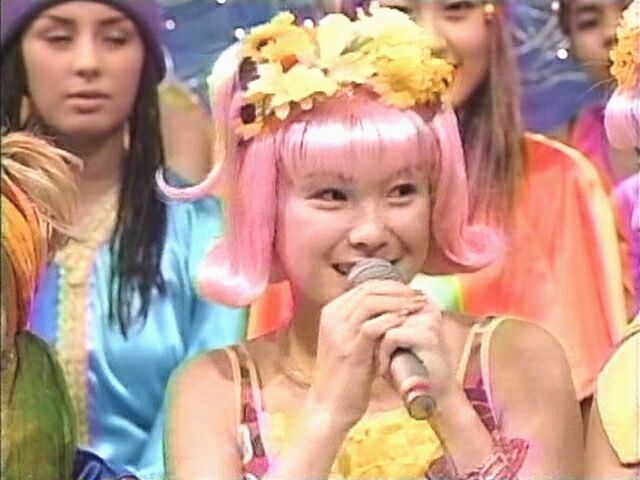 Everyone's favorite is still one particular performance though: ILoveMico recapped: I still in love with the perform on SHINKA NO KISETSU , i'm sure that was the best in all time. And Vermillion added: I agree, that SHINKA NO KISETSU performance of "Happiness" is better than the studio version. She really makes the listener "feel" the song, at least it has that effect on me when I listen to it. Matt of course hastened to make them aware (shameless pulg here as well) of the Matsuurian Archives and BBS. There was another discussion about her cancelled single, but as RobinHead pointed out: She stressed on her radio show that it's been postponed, not canceled, but with UFA, who knows? Finally some new pictures again: with matadesuyo8 shouting Ouch! Oh, French Maid Ayaya, please come and clean my house! jw042693 was wondering about that helix piercing but Kreuz Asakura thought I think that it just a presion one (is that correct? ) Maybe it was just for the concert or maybe is new? I hadn't seen it before either. silenceglaive thought Somehow Ayaya looks like she had to hurry getting her clothes on and N4S especially liked the first one in the second row: That's a fun one! She looks so happy. Ninja-Man commented: I must say that Aya has some of the most amusing expressions I've ever seen. I'd imagine you time it just right to get the best shot of it, but still. I'm surprised your strips are used more often for comic uses. And the scary one really is scary. I've seen trannies that look better. But two people jumped in to defend her honor :-) matadesuyo8 wrote: True. Hisamoto Masami or "Machami" ain't exactly a beauty queen by any means. But she's a pretty funny comedienne, and believe it or not, probably one of the most popular female entertainers in Japan (according all of those surveys and polls they take in Japan.). Think 'Whoopi Goldberg', and Whoopi ain't exactly a beauty queen either. And Matt went on: I love Hisamoto. She certainly ain't pretty, but her lack of etiquette sometimes and her ability to make the guests feel welcome and talk is something that Aya can learn a lot from. 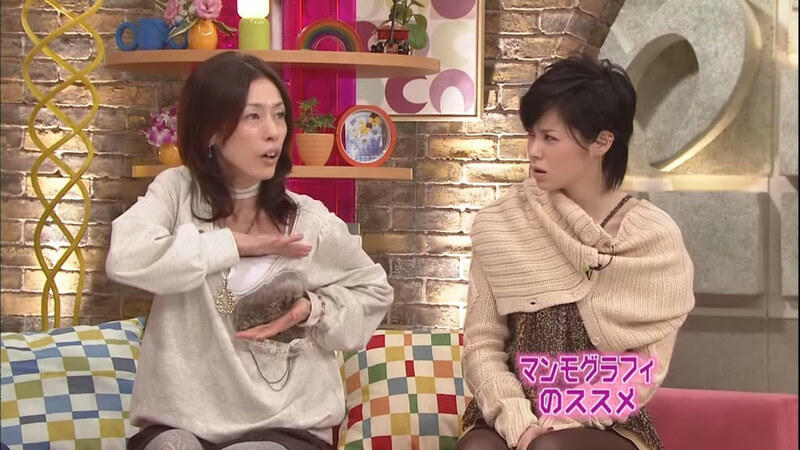 And Aya and Hisamoto seem to get along very well.